The Mindfulness & Grief Podcast | Listen Free on Castbox. 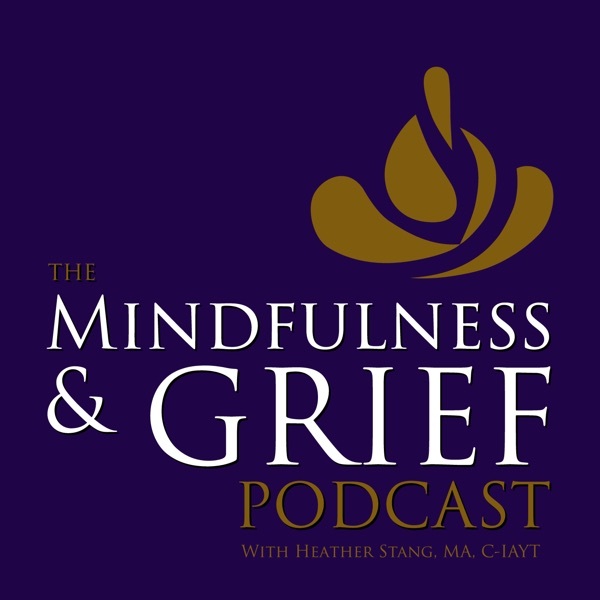 The Mindfulness and Grief Podcast series, hosted by author and thanatologist Heather Stang, features meditation teachers and grief professionals who offer compassionate insights for coping with grief and life after loss. Designed for bereaved people and grief professionals, you will learn how a mindful approach to grief can help you deal with difficult emotions, cultivate self-care and self-compassion, and honor the relationship that remains. May these teachings be of great benefit. To learn more about Mindfulness and Grief visit the website at http://mindfulnessandgrief.com. At the age of 38, Claire Hoffman became a widow when her husband experienced a drug overdose. A mother of one, Claire describes this event as having a butterfly effect over her entire world. In an effort to cope with the loss and gain wisdom and insight, Claire has gathered together grief experts from around the world for the Liberate Your Grief Spotcast, a 5 day event offering hope and healing to anyone who has experienced a major loss. Learn more about Claire at http://liberateyourgrief.com. Pet loss is often a grief dismissed by people who have not formed a deep bond with an animal, but those of us who have non-human best friend know the love and heartache that comes when a special pet dies. In the sixteenth episode of the Mindfulness & Grief Podcast we explore our deep love for our pets, why we mourn them, and how they can help us feel connected to our deceased loved ones when they are alive. Guest Dave Roberts, LMSW, shares how two cats, Bootsy & Angel, helped him cope with the death of his daughter, and the impact their deaths had on him. About Dave Roberts, LMSW Dave Roberts, LMSW, is an author and founder of Bootsy & Angel Books, LLC, and most importantly, the father of Jeannine, who died of a rare form of cancer when she was 18. Dave supports other grieving parents through his work with The Compassionate Friends, in his private practice, and through writing, speaking, and teaching in the psychology department at Utica College. Learn more about Dave at Bootsy & Angel Books, LLC., where you can also purchase his book on pet loss and holiday grief. Read David's Article, 3 Reasons Why Pet Owners Repeatedly Visit the World of Grief, and find him on Facebook and Twitter. Grief Dreams with Joshua Black, Ph.D. In the fourteenth episode of the Mindfulness & Grief Podcast, I interview Jan Warner, author of Grief Day by Day: Simple Practices and Daily Guidance for Living With Loss. During this episode, Jan shares how her deep love for her husband Artie lives on, how to deal with people who just don't understand, and how Grief Day by Day can help you become your own "grief whisperer." 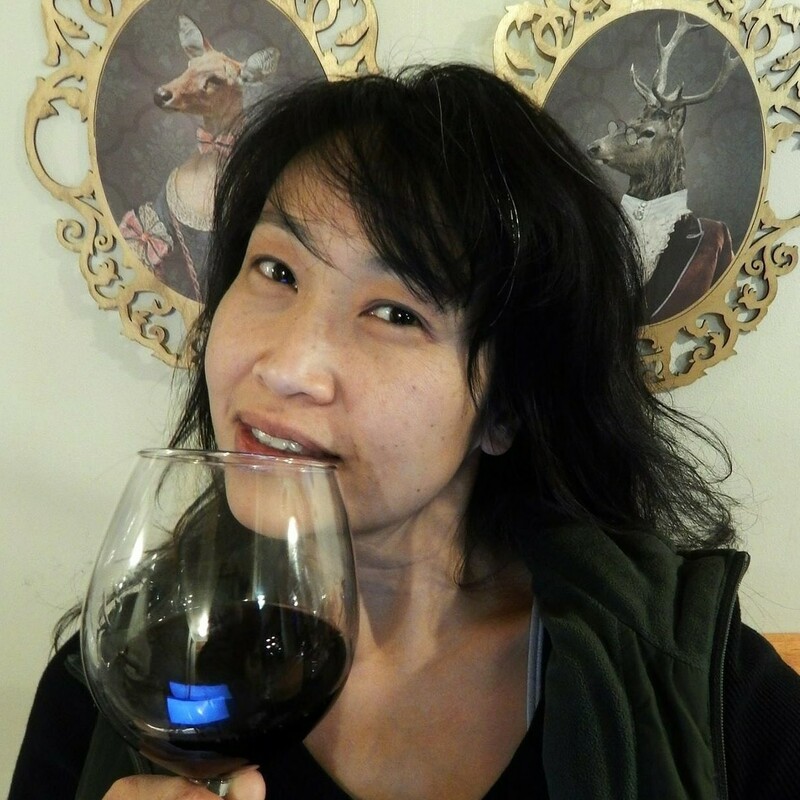 What I love about this interview with Jan is her honest and unfiltered view of life after loss that balances the reality of the pain of loss with the love and levity that helps you continue to live on - with their memory right by your side. The book itself is a fantastic resource - easy to read and offered in small, daily bites that will help you take the next best step for you. About Jan Warner When my husband died I thought I would sadly miss him. Instead I was devastated. After the first chaotic year I began to rebuild my life by honoring him. I became available to grieving people the way he, as a recovering alcoholic, was available to alcoholics and addicts. I wrote a blog. Five years ago, I started a FB page, Grief Speaks Out at www.Facebook.com/GriefSpeaksOut. It is a loving, supportive international community of 2.4 million people. My book, Grief Day By Day: Simple Practices and Daily Guidance for Living With Loss has been called a soothing balm for a wound and an outstretched hand in friendship. I have a Master's in Counseling Degree and have studied NLP, and hypnotherapy. In becoming fully alive with grief I have produced documentary films and an off-Broadway play. I’m a vagabond who has been to all seven continents. I love being a grandmother. In the thirteenth episode of the Mindfulness & Grief Podcast, I interview Molly Hicks, music therapist and bereavement counselor with Penn Wissahickon Hospice in the Philadelphia, PA area, where she serves adult bereavement clients through individual counseling and support groups. During this episode, Molly shares the principles of music therapy, and how music can help you cope with grief and express how you really feel. 13:22 minutes in, you will also get to hear Molly's original recording of Call in the Light, a song, in Molly's words that is "about darkness and light, which is very common in a lot of music and a lot of songs....the person who is grieving can call in a source of light from themselves and also from the memories that they share with their loved one and the bonds that they still have with that loved one." The lyrics are available below! Along with music therapy interventions, Molly also uses her background as a yoga teacher to incorporate gentle poses and mindfulness techniques into her sessions. Additionally, she supports bereaved children and teens each year at Camp Erin Philadelphia, through the visual and performing arts. Molly holds bachelor’s and master’s degrees in music therapy from Temple University in Philadelphia, PA. She earned her Hospice & Palliative Care Music Therapy (HPMT) certificate in 2011. Molly has presented at regional and national conferences of the American Music Therapy Association, on such varied topics as clinical songwriting, cultivating therapeutic presence, and addressing compassion fatigue. Since 2012, Molly has been a member of the Allied Therapies Steering Committee of the National Coalition of Hospice and Palliative Professionals (NCHPP). In the eleventh episode of the Mindfulness & Grief Podcast, I interview Laurie Cameron, author of The Mindful Day, founder of Purpose Blue, and certified meditation teacher. She shares mindful ways we can navigate the emotions that accompany grief, reconnect with ourselves, and continue to relate to the people in our lives that we mourn. Learn more about Laurie Cameron and join her community at at http://www.lauriejcameron.com. Show Notes from Heather Grief can make us feel like our loved ones have been ripped from our life. It can also make us feel like we are no longer even sure of who we are now that this great loss has occurred. And while it is true that our loved ones are no longer physically present in the same way they were before, and we often yearn for them to be back by our side, the relationship continues. Just in a very different way. How often to we think of the imprint someone we loved has left on our heart? Or imagine what they would have thought, done or said as we gaze at a new child, get our first acceptance letter, or learn how to drive a car. One of the things we can to do help ourselves navigate grief is to relearn how to connect with our self and our departed ancestors and loved ones. It is important for us to find a way to continue our story, even though the plot-line has changed dramatically. Mindfulness can help with that, and Laurie Cameron has some compassionate insights and practices that can help us do both. I first found out about Laurie Cameron when my Local Book Store, Curious Iguana, asked me to introduce her at a book signing event for her new release, The Mindful Day. The book itself is designed to help you weave mindfulness into your normal, everyday life, even as you commute, go to work, and interact with friends and family. A lovely premise in and of itself, and the book is well written and a fun read. But what really drew me to the book is her story of love and loss, that is offered right up front in the introduction. And what draws me to her is the way she relates to her losses, and to her life. Laurie is no stranger to loss. She witnessed her father’s death by heart attack when she was a junior in high school. About fifteen years later, she became a student of Thich Nhat Hahn, the beloved Vietnamese Monk. I started going on retreats and deepening my practice and when I was nine months pregnant with my only child, Ava Grace, my brother Johnny suddenly died. Within the space of three weeks, I lost Johnny and experienced the most searing grief I'd ever known. And then at the same time, the most exquisite joy I've ever experienced. So I had the depth of the love both ends of the continuum mixed together. Later, her other brother died, followed by her mother just seven years ago. Laurie uses her mindfulness practice, as well as practices to help her stay connected to her loved ones to cope with an overwhelming amount of personal loss. She uses what we often call embodied mindfulness to pay attention to the physical signs that a wave of grief is about to arises: So by practicing over time tuning into my body, just really having a sense of the sematic signals or the body signals I can feel the grief coming or the sadness coming and then I, and then I can do something about it. So often what I would do is just simply breathe or take a walk. I love being in nature really grounds me and almost nourishes me like a mother Earth Hug. So really what I've experienced is that a step one is accessing an inner calm. That doesn't mean that I'm pushing away the emotion or denying it or avoiding it. It's just almost like an oxygen mask on myself. Just feeling the breath tuning into my body and just allowing myself, meeting myself with kindness in that moment and just generating calm. And then mindfulness helped me to relate to my experience with kind of a wider perspective. Despite the great losses she has faced, Laurie herself is still very much fully alive and awake to this one precious life: These losses continue to remind me of the beauty and the fragility of life. And I also really deeply appreciate my mindfulness practice in helping me navigate that. I am grateful for the wisdom Laurie shares with us in this podcast. I hope you find her words as helpful as I do! In the tenth episode of the Mindfulness & Grief Podcast, I interview Maria Mora, a Certified Eating Disorder Registered Dietitian. She shares ways we can help our body help itself by giving it the proper nutrition, and how we can use self-compassion to work with an eating disorder or disordered eating during grief. When we have had a major loss, nourishing our body can feel like a struggle. Many of us will feel nauseous just at the thought of food, while others will use food to distract from difficult emotions, or swing back and forth between the two. If you are dealing with an eating disorder or disordered eating, it can be critical that you give your body the food and self-compassion you need to create a solid foundation for healing. Learn more about Maria Mora at http://www.integratedeating.com/. In the ninth episode of the Mindfulness & Grief Podcast, we learn helpful and compassionate ways we can help children cope with grief. More importantly, we learn how to help them help themselves, so they can build coping skills that will last a lifetime. Jana DeCristofaro, LCSW and Community Response Program Coordinator of The Dougy Center shares her wisdom on Children & Grief, including how peer support can empower children, and the many ways we can help at home and at school. Find resources for Children & Grief at The Dougy Center's Web Site , and be sure to listen to their Grief Out Loud Podcast, hosted by this week's guest, Jana DeCristofaro. Hope Zvara has turned her suffering into a mission: Help Others Purposefully Excel by using the three Bs: Breathe, Body, and Belief. In this episode, you will learn how Hope turned to yoga and mindfulness to help her overcome her struggle with bulimia as a young woman, and manage the pain after her first born daughter Faith died only twenty minutes after her birth. Listen and then learn more about Hope & her work at http://hopezvara.com. Thank you for this episode. I am a vivid dreamer. Whenever I dream of my friends and loved ones who have died, I thank them for visiting. This is especially true with my daughter who died last August. I encourage her to visit me often, and I thank her when she does, just as I thank her living siblings when they call me. Heather and Josh, you are helping so many with your work. Thanks and Namaste. Thank you for this very important podcast. I have been working through the book as I process the loss of my youngest child. Almost immediately, i turned to meditation and yoga, and found much comfort in those practices. Hearing the stories of how many have experienced grief and then became grief counselors is very inspiring. Namaste.